This Cat6a Ethernet cable consists of a RJ45 male on one end and a RJ45 male on the other. 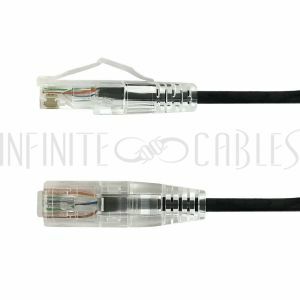 It is typically used for Ethernet network connections such as patch panels, switches, computers and routers. Its ultra-thin cable design works perfectly in high density server room applications. Performance in High Density Applications. 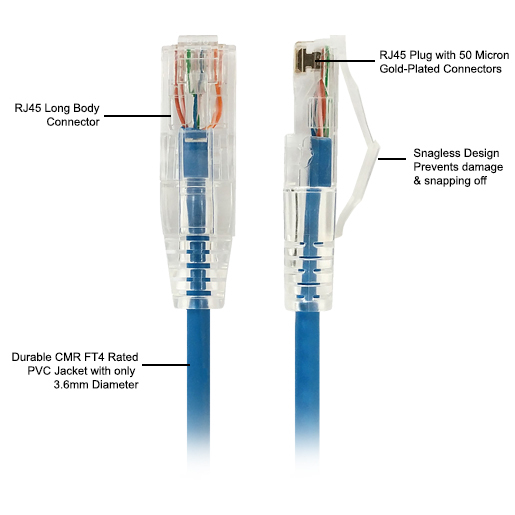 This ultra slim cable is 60% thinner than the regular CAT6 cable which makes it the perfect solution for high density server rooms and data centers. It is also light weight, flexible and can be easily routed. Our cables are 100% tested to pass a fluke CAT6a patch cable test, and comes with a printed test report. Makes a clean install ! Price, quality and quick delivery... You cant go wrong. Excellent prices, delivery on time or earlier, great products. Great cables. Works prefect. Will always buy from you.